The Custom bikes are always exciting, not only for the owner, builder but even also for the spectators. 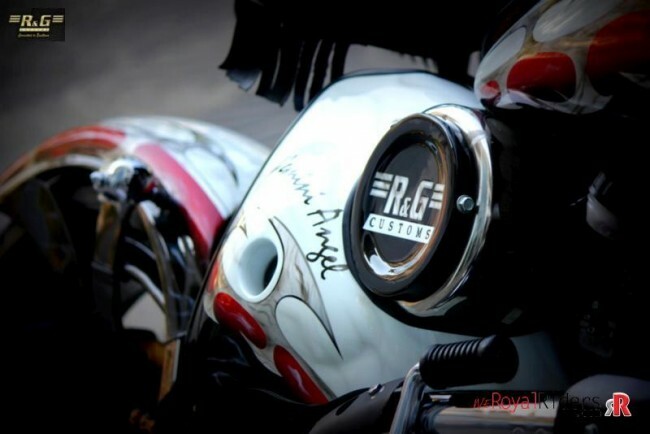 As you guessed, today we are going to feature another custom bike named as “Gemini Angel” from RG Customs, Mumbai. 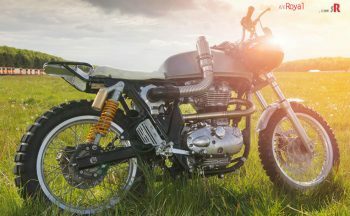 This is Royal Enfield Classic 500 which has been reincarnated in a new avatar with sheer level of customization and detailing which is staple to R&G Customs. 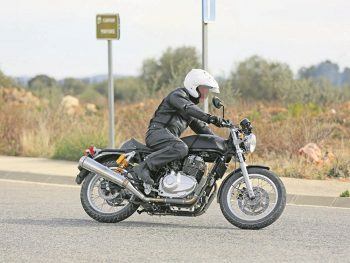 There are host of unique features and style elements in the bike which will not seize to surprise you. 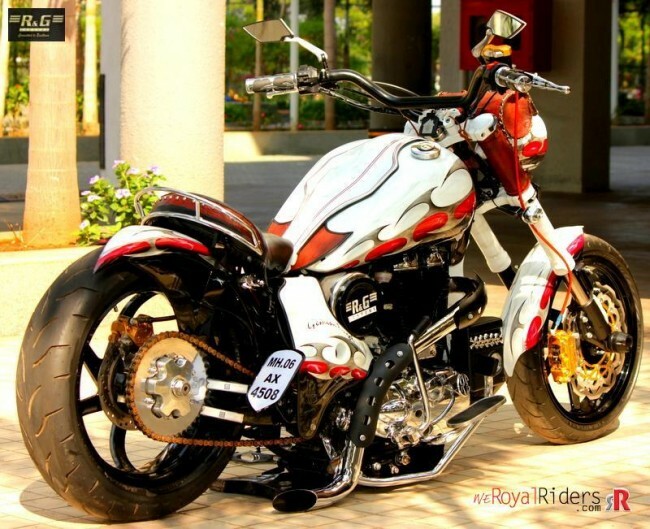 If look into current Custom Bike Building scene in India, there are many custom bike builders in country, few have even set standards in Industry but most of them are later found to be stuck in some kind of stereotype. Generally they are making similar builds with slighter tweaking and modification, ultimately giving a feeling that they are running out of ideas and imagination or it could be that they simply want to follow a design trend where they initially got appreciation. But R&G Custom has set their own league, unlike others, they are always fiddling with challenging ideas and materializing them. 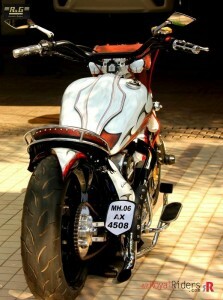 Hence, as expected, this bike is no similar to their previous work and stands tall with its own style statement. And it looks in your eyes. 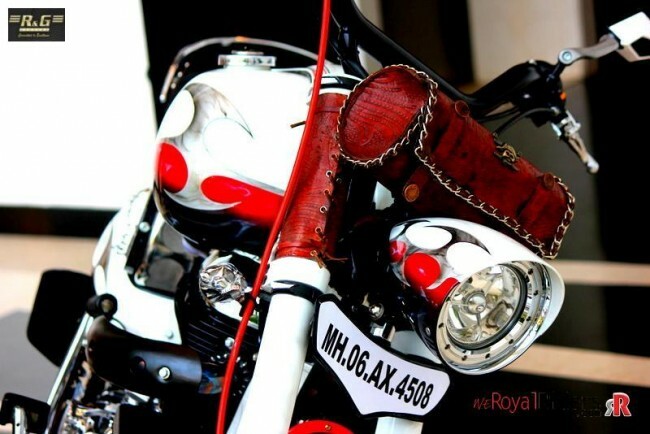 Right from headlamp to its tail lamp, bike creates macho instance. 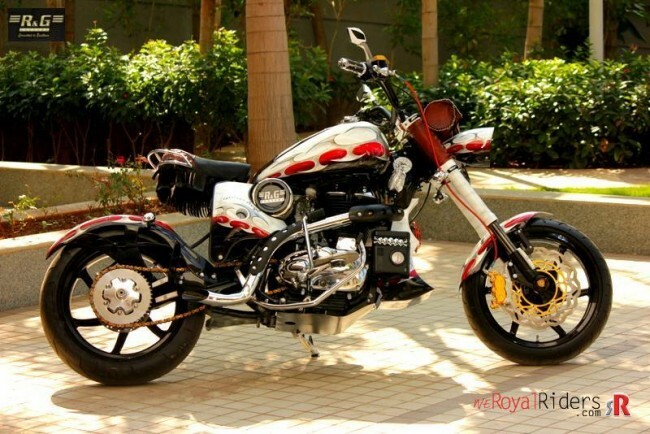 There is a huge 18 ltr tank with awesome paint job which alone gives its on character to bike. To make tank appear even bigger, if you see from front, smaller headlight is used. We have inverted telescopic front fork and Wide handlebar with chrome coated rear view mirrors along with leather bag in center, its a classic example retro and modern fusion. The leather saddle seat is meant for single person and there is chrome coated support metal arc probably to handle bike while you are not riding on it. Can you notice the single sided rear swing arm. Just a another view from front. 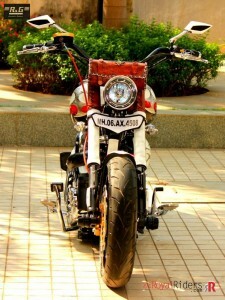 Bike is not just customized, it is actually built almost from scratch. One of the most prominent feature of bike (if you have not already noticed) is its rear air suspension, it allows bike to rest on ground without aid of any kind of side stand or center stand. 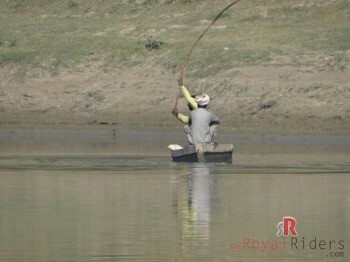 If you see closely, in above pictures bike is resting on ground, only in last one its using side stand. We are seeing air suspension where bike lower itself to ground whenever you want it. You can again get it suitable riding height by hitting the hydraulic switch. 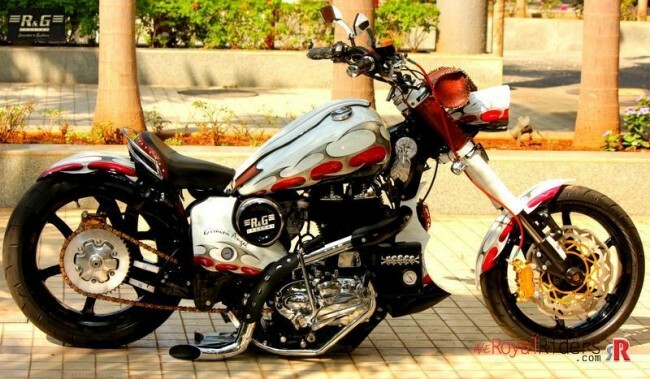 This is something new we have seen in Indian Custom Build. 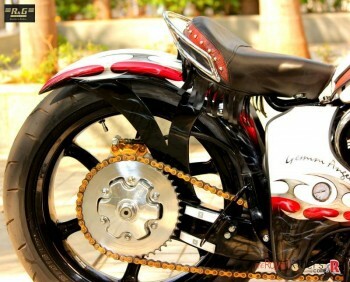 As per Ganesh from R&G Customs, this required the to rework on whole frame of the bike. It took them great amount of research and trials to get it right. He is quite happy with this accomplishment and says that in future too they will come with better and newer ideas in the Industry. Further, you will also notice that bike has single sided rear swing arm with disk brakes on other side. The bike uses fat 1.80, 17″ rear and 1.20, 17″ front tires on custom mag wheels along with fat body instance. This gives it a perfect matcho looks with touch of retro-modern design element. However, the rear tentacle like leather strips hanging from saddle seat looks flowing away from design but not much of the issue. 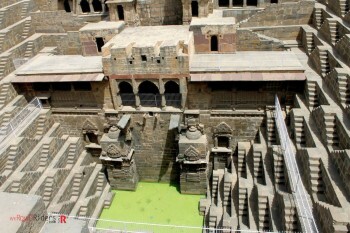 May its there to compensate the gap which is below rear seat due to its hydraulic suspension arrangements. Gemini Angel, a beast with angelic features. 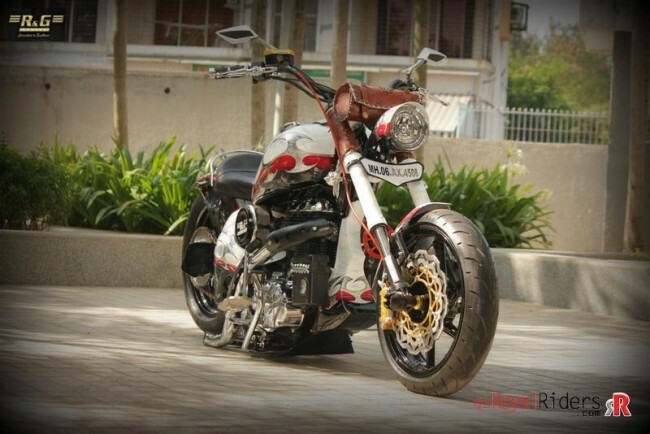 But nevertheless, its once again a masterpiece by R&G Custom. 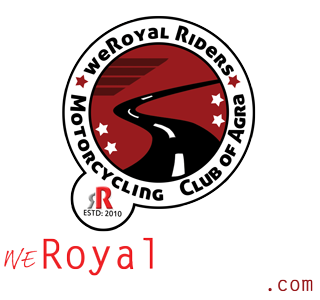 You can see level of details and customization in every aspect of bike, be it custom exhaust with beautiful safety cladding or the placement of their nifty logo. The bike gives you cruiser sitting with modified pedals / gear shift. 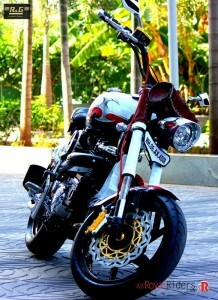 Technically, apart of its power house, its hardly a Royal Enfield anymore, its now Gemini Angel.